When you think of Louisville, Kentucky, you probably think of the Derby. The Kentucky Derby is an annual horse race that is held at the end of a two-week long festival. It’s not all horses and fancy hats in this city, though. There are many more great reasons to move to Louisville. The city is booming with things to do. If you are a nature-lover, this is the perfect place for you, as there are numerous parks to bike, jog, or take a stroll through. 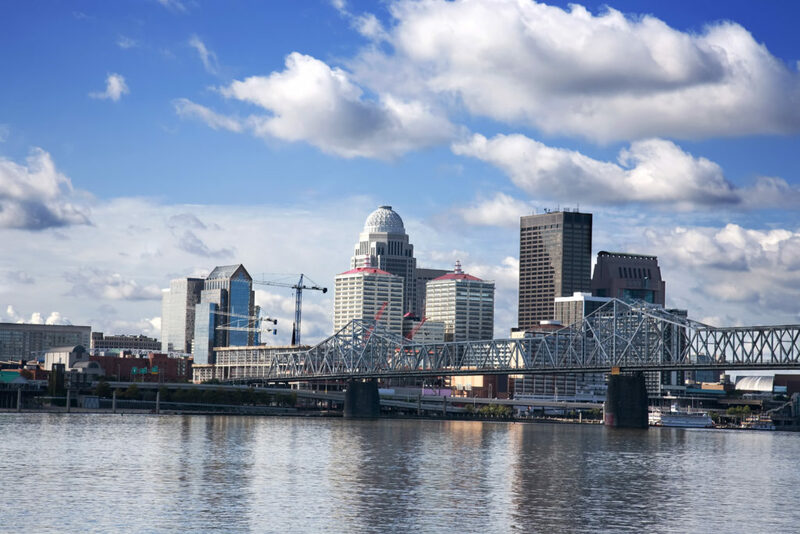 Louisville is also in the perfect location for road trips to other nearby cities, such as Cincinnati and Tennessee. If you are planning a move or vacation to Louisville, you will likely want to take your car with you. This way you can explore all the attractions the city has to offer. You may think that driving is the best option. However, car shipping services are an easier, safer, and faster alternative. Learn more about Kentucky Car Shipping. Moving is a challenge, as is. Add on travel time, and you pile on even more stress. We help eliminate some of the headache and make your life easier by providing door-to-door car shipping service. This service provides added convenience. Instead of having to travel to a terminal, the driver will come directly to your home or place of business for pickup and delivery. One primary reason why our customers count on us, time and time again, is because of commitment to providing the best customer service, possible. One part of customer service is timely delivery. We do our best to get your vehicle to you as soon as possible, while still keeping safety a top priority. We understand that you are an individual with unique needs. Therefore, we cater our car shipping services to meet your specific needs. No matter what type of car, truck, van, SUV, or motorcycle you need transported, we will work with you to create a shipping option that suits your schedule and budget. Learn more about our auto transport services. While your car is in our possession, we promise to treat it as if it were our own. This means that it will get the best treatment possible to ensure that it arrives to its destination, without incident. This larger metropolitan area manages to still feel like a close-knit community due to the wonderful people who live there. People are friendly and inviting. Pretty soon, you will know where all the great places to go are based on recommendations from your friends and neighbors. Many singles move here alone, but find out that there is a lot to do, providing them with the opportunity to make friends quickly. This is also beneficial for people wanting to start or grow their family, because locals find that they feel like their children are safer with everyone keeping an eye out for each other. The community is one major reason that the city ranked number 43 on the best places to live list. Overall, the cost of living in Louisville is cheaper than much of the rest of the country. A large part of this comes from inexpensive housing costs. The average housing in Louisville is about a three quarters of the price elsewhere. Another determining factor in the cost of living is the job market. Currently, the unemployment rate in Louisville is below the national average. This means that the majority of people are employed. Louisville is not considered to be one of the safest cities around. In fact, it is only safer than 6% of the nation. However, this can be avoided by living in the safer parts of town and staying out of places where crime is rampant. Some of the safer neighborhoods are Cherokee Gardens, Highlands Douglass, Bowman, and Camp Taylor. While these neighborhoods may cost a little bit more, they are considered the safer part of town. Try avoiding the south side and the west side of the city. The weather in Louisville is fairly mild. You get to experience all of the seasons without worrying if you will freeze or burn to death. Summers do not have a large amount of days that get above 90 degrees. In fact it is normal for the average temperature to be in the 70s and 80s. During winter, you will experience cold days most of the time. However, rarely does it ever drop below 20 degrees. As far as precipitation goes, Louisville is fairly average. It gets slightly above the national average in the amount of annual rainfall. In terms of snow, Louisville gets an average of 9-10 inches of snow per year, which is below the national average. The majority of the year is made up of sunny days. National Dispatch is a nationwide auto transport company with a company-owned fleet. We ship cars for an extensive customer base, not just those moving to a new home. Many of our customers use our services in the case of an extended vacation, out-of-state purchase, corporate relocation, and more. If you are in need of car shipping services, request a free, instant car shipping quote using our online quote form. No personal information is required. You can also call us at 800-321-2051.